No. 10, Jalan Gitar 33/3, Elite Industrial Park, Section 33, 40460 Shah Alam, Selangor, Malaysia. 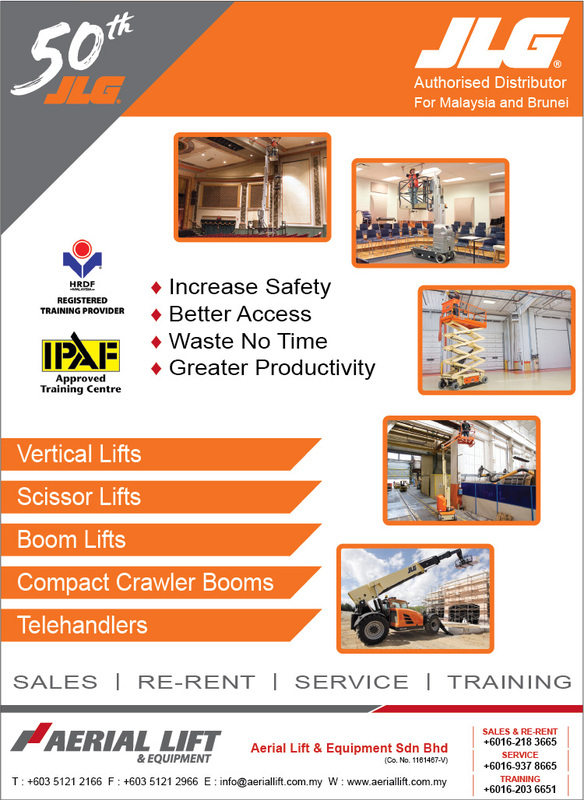 Aerial Lift is the Official Distributor of JLG Access Equipment for Malaysia and is a wholly owned subsidiary of TVH, international distributor of fork-lifts, access equipment and its spare parts. We are dedicated to providing comprehensive sales & service solutions to the access needs of the rental industry and offer a wide range of financing options and technical support to help the rental companies in expanding and renewing their rental fleets. Aerial Lift aims to provide their customers with high-quality machines with a view to raising the industry standard of the access equipment industry in South East Asia.